Before the colorful screens became popular, the appearance of screens used to be grayscale or in simple words, they used to be black and white. Some people still prefer the same old ambiance and do not like the catchy colors that much. 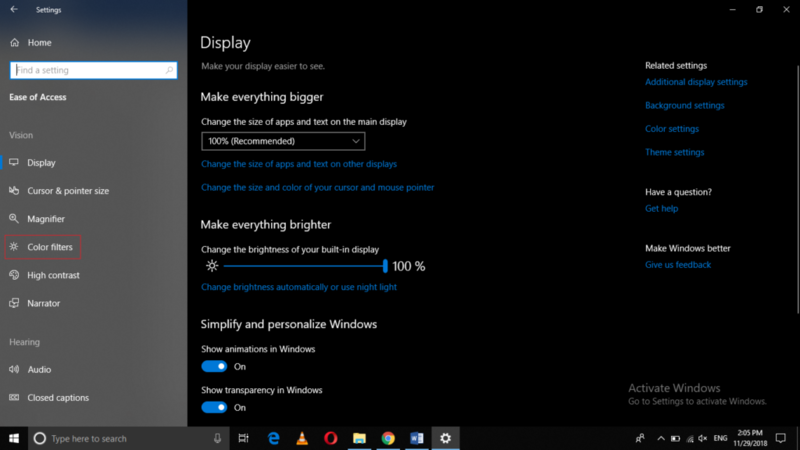 For such users, Windows 10 offers a great customizability feature. 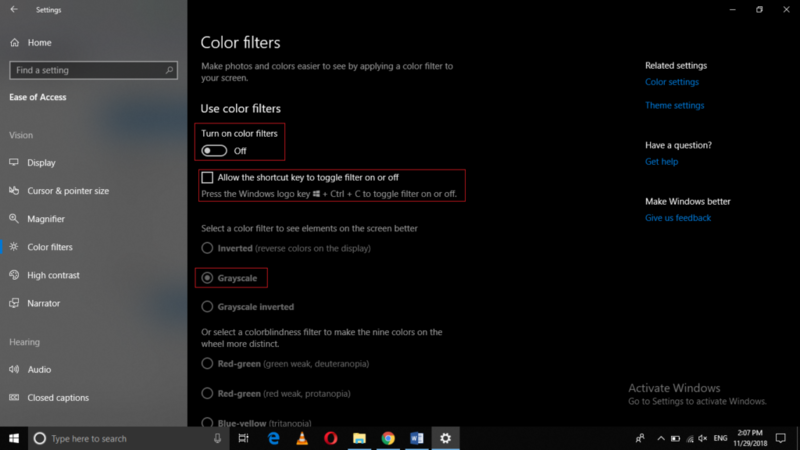 In this article, we will explain to you how you can disable or enable the grayscale mode in Windows 10. Click on the Ease of Access tab as highlighted in the image shown above. Also, check the checkbox corresponding to the field of “Allow the shortcut key to toggle filter on or off” by clicking on it. After doing this, you will be able to enable or disable the grayscale filter just by pressing Win + Ctrl + C as highlighted in the image shown above. 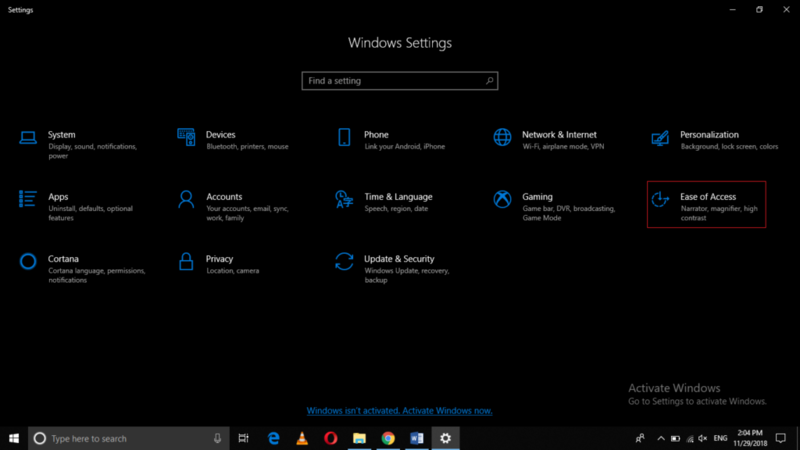 In this way, you can easily enable or disable the grayscale mode in Windows 10 by following the method discussed in this article and can experience the old environment while using Windows 10. Moreover, you can easily toggle between the regular and the grayscale filters simply with the help of a keyboard shortcut and can get your work done within seconds.